Smokers who indulge in their first cigarette as soon as they get up in the morning have a higher risk of developing lung and oral cancers, according to a new study conducted by Penn State researchers . 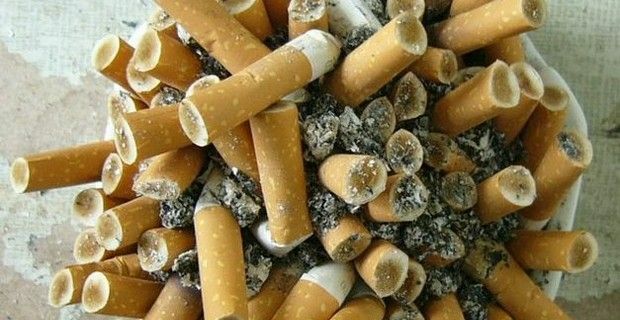 The findings published in Cancer, Epidemiology, Biomarkers and Prevention Medical Journal revealed that smokers who light up immediately after waking, increase the levels of a specific tobacco carcinogen in their bloodm than smokers who hold off a half hour or more after waking up, regardless of how many cigarettes they smoke per day. This new study follows the 2011 one that Penn State published in the journal Cancer, that revealed that people who smoke within the first half hour of waking up are at a greater risk of developing lung cancer and head and neck cancer than smokers who wait to have their first cigarette of the day. "We found that smokers who consume cigarettes immediately after waking have higher levels of NNAL -- a metabolite of the tobacco-specific carcinogen NNK -- in their blood than smokers who refrain from smoking a half hour or more after waking, regardless of how many cigarettes they smoke per day," said Steven Branstetter, assistant professor of Biobehavioral Health, in a statement. 1,945 adult smokers provided urine samples to test the levels of NNAL, as well as information about their smoking behaviour, including how soon they typically smoked after waking. The researchers found that around 32 percent of the participants they examined smoked their first cigarette of the day within 5 minutes of waking; 31 percent smoked within 6 to 30 minutes of waking; 18 percent smoked within 31 to 60 minutesof waking; and 19 percent smoked more than one hour after waking. In addition, the researchers found that the NNAL level in the participants' blood was correlated with the participants' age, the age they started smoking, their gender and whether or not another smoker lived in their home, among other factors. Branstetter also said, "We believe these people who smoke sooner after waking inhale more deeply and more thoroughly, which could explain the higher levels of NNAL in their blood, as well as their higher risk of developing oral or lung cancer. As a result, the time to first cigarette might be an important factor in the identification of high-risk smokers and in the development of interventions targeted toward early-morning smokers."